Are you looking for a fast and affordable way to buy your dream home? Mortgage Banking Associates in Lakeland Florida is here to help make your dream come true and help get you into your dream home. 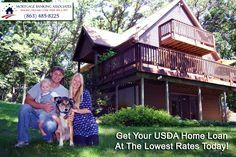 Our Lakeland qualified mortgage lenders have helped over 4,000 happy clients in the State of Florida get approved for FHA home loans, VA loans, USDA loans and conventional loans…all at the lowest rates available on the market today. The mortgage brokers at Mortgage Banking Associates are top-rated professionals who are very knowledgeable in local and statewide mortgage laws and know what it takes to close your loan in the fastest and most effective manner. Mortgage Banking Associates is proud to have an A+ Rating with the Better Business Bureau. So our clients can rest assured that they will enjoy superior customer service! Here at Mortgage Banking Associates we help clients in Lakeland and throughout Florida to apply for VA loans, FHA loans, USDA loans, conventional loans, home refinance and home equity loans. Applying is easy! You can call us now at (863) 485-8225 to lock in your home loan at the lowest rate on the market right now. You can also click here to apply online for your home loan now! Our resources, knowledge and advanced technology allow us to be the fastest and most efficient mortgage lenders in processing your home loan. At Mortgage Banking Associates we care about our clients and we are happy to offer free home loan consultations and all home loan applications are free. 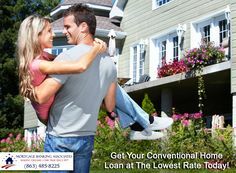 We are the mortgage lenders that can offer you the lowest available mortgage rates on the market today in Lakeland and throughout Florida. Our mortgage company takes pride in providing superior client care and we are honored to have hundreds of great reviews from our clients. Each type of home loan has different eligibility requirements for approval. Choose the type of home loan you want to apply for as well as the loan amount. Our mortgage lenders will process your mortgage application quickly and for free. 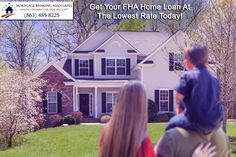 Our Lakeland qualified mortgage lenders have helped over 4,000 happy clients in the State of Florida get approved for FHA home loans, VA loans, USDA loans and conventional loans…all at the lowest rates available on the market today. Here is what people are saying about our mortgage company…Mortgage Banking Associates. 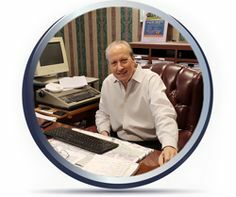 We had been through the process of obtaining a mortgage a number of times in both Florida and California. You got right down to work, obtained a wonderful quote on the loan, and locked it in. You knew exactly what information we needed to provide. In slightly less than 30 days our refinancing was complete. During that time you were always pleasant, reassuring, and available. One of the reasons things went so smoothly was that you always anticipated potential glitches before they occurred so we were able to avoid processing problems. Additionally, your staff was always nice and helpful throughout. Thank you so much for everything. My interest rate and closing cost far exceeded my expectations. It was a pleasure doing business with you. You were very kind and patient with me and followed through with every request in a timely manner. Thanks for a job well done! I appreciate your honesty and enthusiasm in making our deal close. I will be glad to work with you on my next lending experience. I know you will do what it takes to close a deal. I enjoyed doing business with you. Thank you for all of your hard work. Thank you for everything. All the confusing stuff was fixed by you and your staff. All the problems you helped make right! Thanks again! Thank you for your help and support of my Vet Loan on my home in Crystal Springs FL. The end result ended on time and just like you said it would. People like you who care for the Vets and you put yourself right to work to complete and get the person their loan. Thank you. Thank you does not seem big enough for all you did for us! I am grateful for your unending dedication to get us the home we wanted. You take pride in your work and the amazing customer service you provided was outstanding. Thank you all for the hard work in closing our home. If it was not for your tireless efforts, the deadline would not have been met. But nonetheless, here we are in our gorgeous new home. We really appreciate the work you do. Thank you so much for your time. We will recommend anyone to seek out your services! Thank you and your staff for the excellent service of getting us our mortgage when it looked like no one else was going to be able to secure a mortgage for our new home. You managed to get that done. We will always be grateful to you. You and your staff are champions among mortgage providers! It was an easy re-finance! You said you would do it and you did. It was an eye-opening experience after all the others we went through. Everyone was so helpful…thank you! Can’t believe we finally got our loan processed. We couldn’t have done it without you! Thank you so much. We sincerely appreciate all you’ve done! Special thanks for all the time and hours spent on my VA loan. Your service is the best. I thank God that I chose your company. I am enjoying my beautiful home. The location/neighborhood is great! Thank you for making our first home ownership journey a breeze! Please congratulate yourself and your staff for our complete satisfaction. Thank you all for making our dream come true! If it weren’t for all of you, things would not have gone so smoothly. We want to thank you and your staff for all of your hard work and assistance during our home buying process! You all were very timely and courteous and we really appreciate all of your efforts. Applying for a home loan is quick and easy! Our mortgage company uses the latest technology, vast resources and over 30 years of mortgage lending experience to get you your loan at the lowest interest rates so you can live comfortably in your new home, making your monthly payments with ease. We are proud to have over 30 years of experience in mortgage lending and we pride ourselves in being the fastest mortgage company to process your loan application without any application fee.